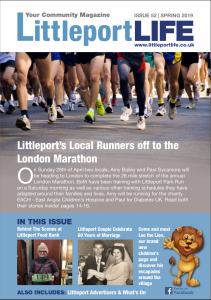 For many years the Littleport Society has taken part in the Royal British Legion’s Remembrance Day ceremony. This year committee member Fiona Gilbert laid the Society’s wreath on the War memorial. 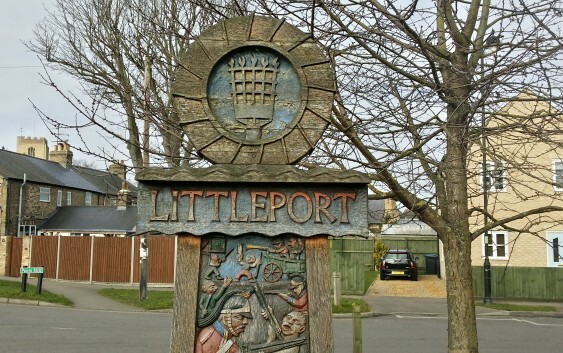 Whilst it is important that we remember those whose lives’ were sacrificed in the terrible conflicts of the two world wars, and the other conflicts of the later 20th century, it is not readily known that Littleport men have fought in many previous wars, particularly those of the 19th century. Several Littleport men, who served in the Suffolk Regiment, fought in the Boer War 1899-1902. Private Charles Kidd was killed in the assault on Red Hill, and is buried in South Africa, but remembered on the Boer War memorial in Bury St. Edmunds. Two others, Private Charles Barber and Private Reuben Laws were taken prisoner by the Boers and suffered in the Boer Concentration Camp in Pretoria. George Jarman and Thomas Nightall both served in India during the Indian Mutiny in 1857. George fought in the famous Siege of Lucknow. A completely different period, Roman and Medieval, is the theme for our exhibition at the Society’s Heritage Weekend on the 19th and 20th of May. Visitors will be able to discover about Domesday Littleport, the story of William de Littleport, the naughty doings of the vicar Simon de Lakenheath, life in medieval Littleport, and much more on colourful and easy to read information boards. There will also be archaeological exhibits, and also a display of the work of local artists in textiles, glass, metal and paint. A recent visitor to the Barn was our American Ambassador/Treasurer, Dr. Clive Taylor and his wife Susan from California. Dr Taylor was born and brought up in Littleport, and he left the Barn very impressed with the Society’s work in recording and preserving the town’s heritage. Some of our members are busy working on projects. One is working on the history of the Dairy Houses area, and others are working on the Wisbech Road Project, recording the stories and memories of life in Wisbech Road, and how it has changed over the years. Both are expected to be produced as books by the Society.